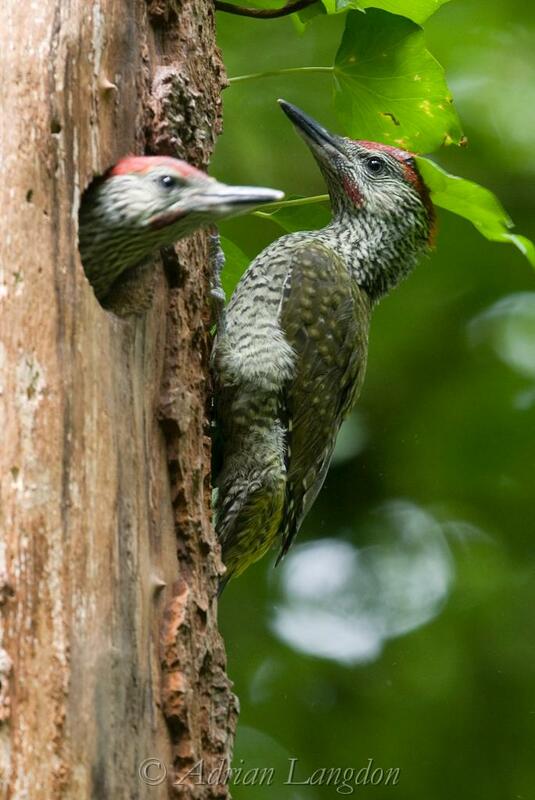 Green and Great spotted Woodpeckers. 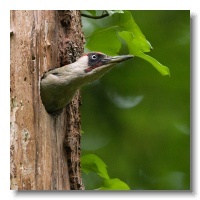 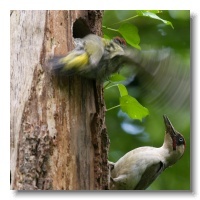 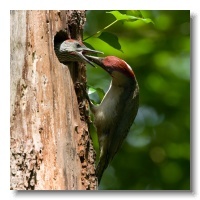 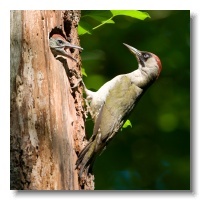 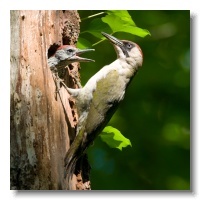 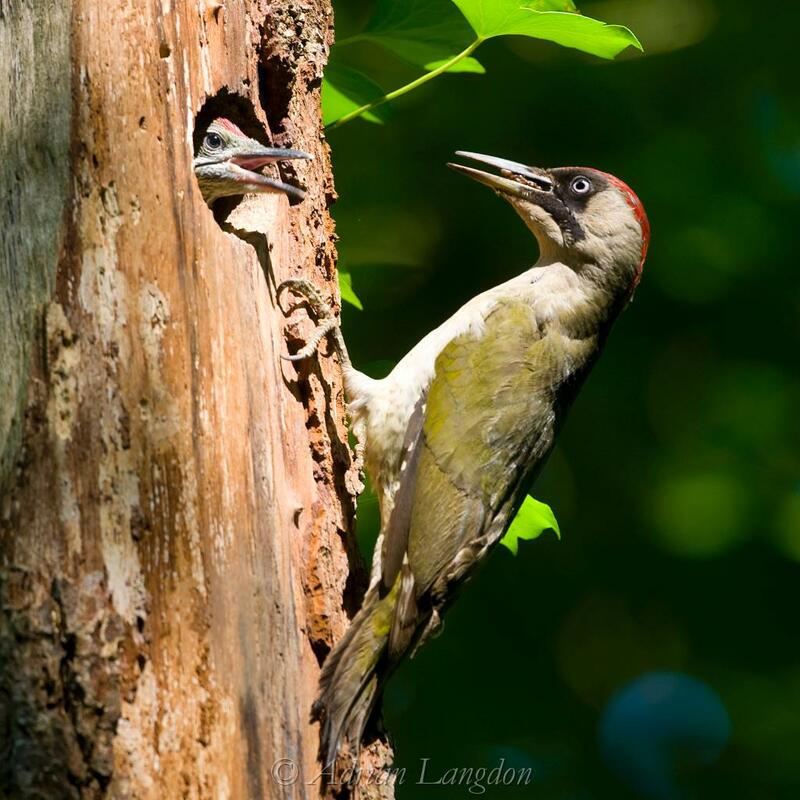 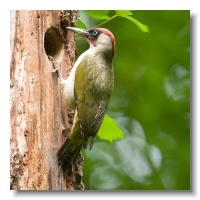 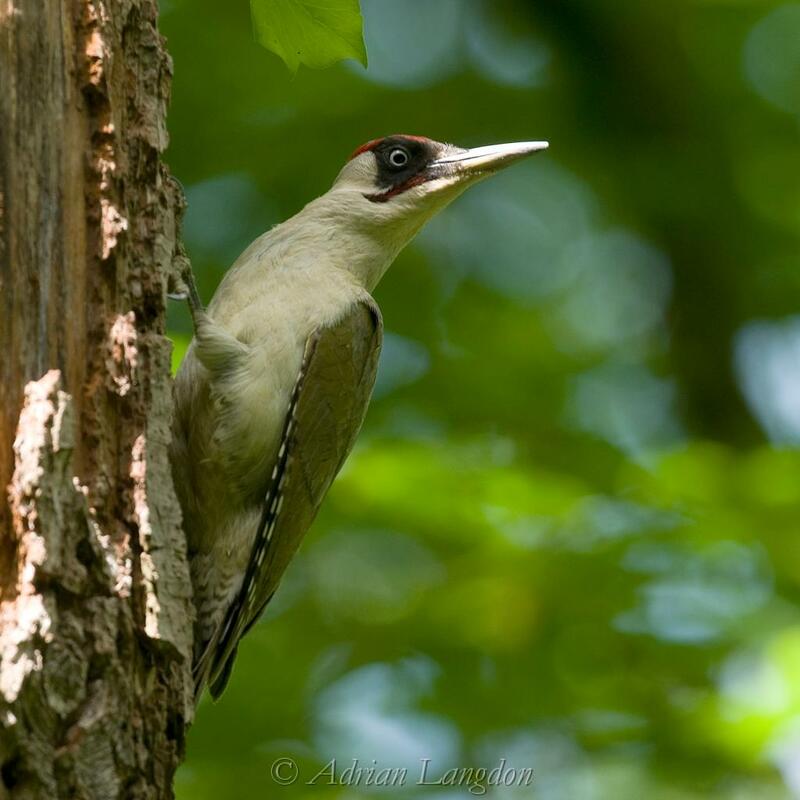 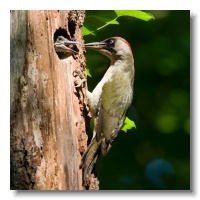 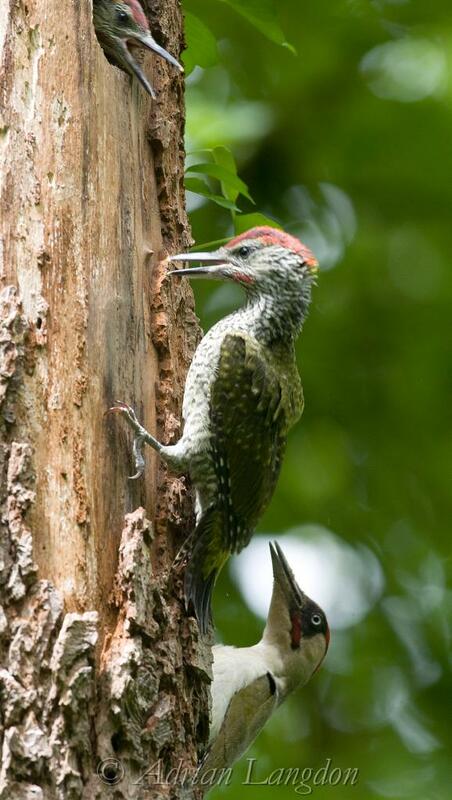 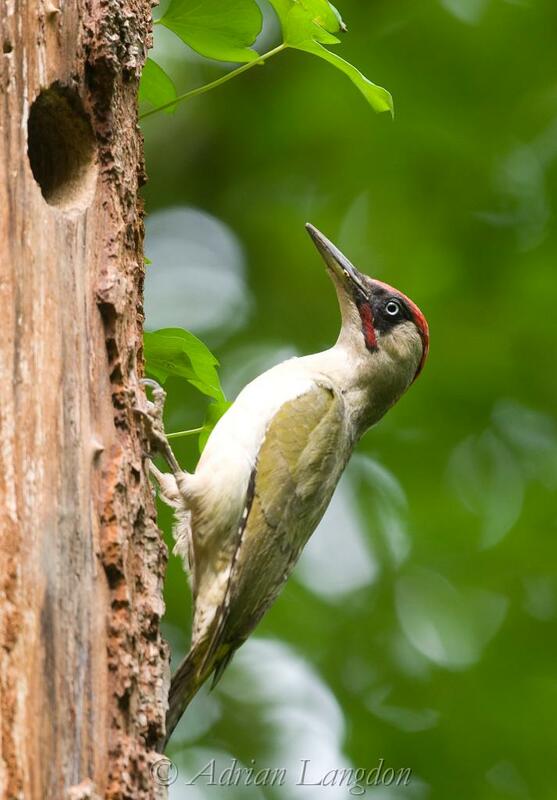 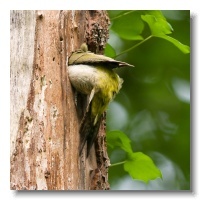 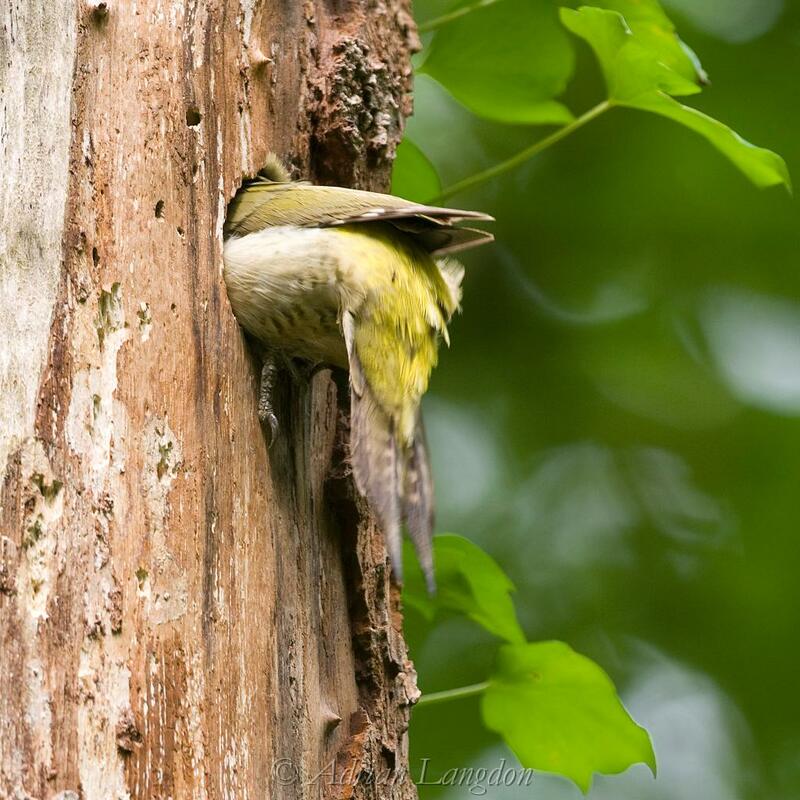 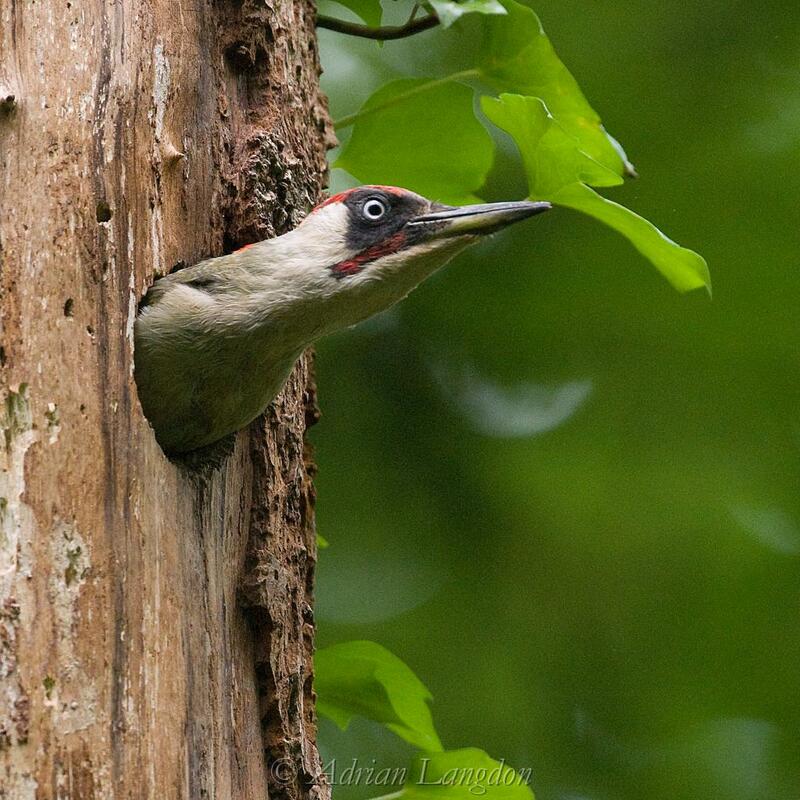 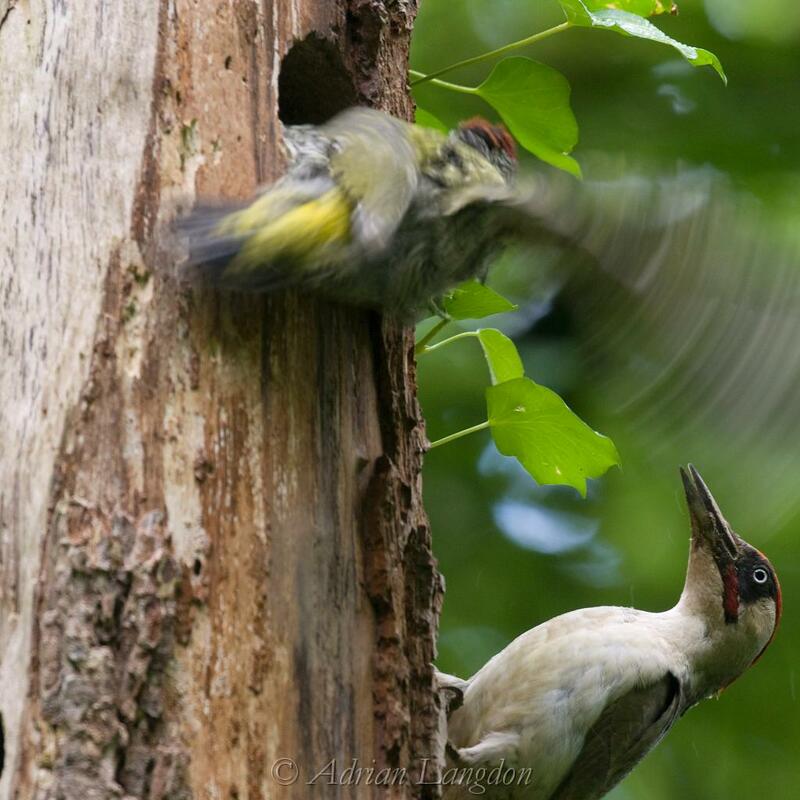 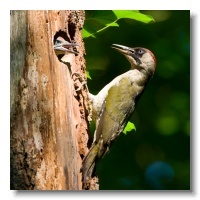 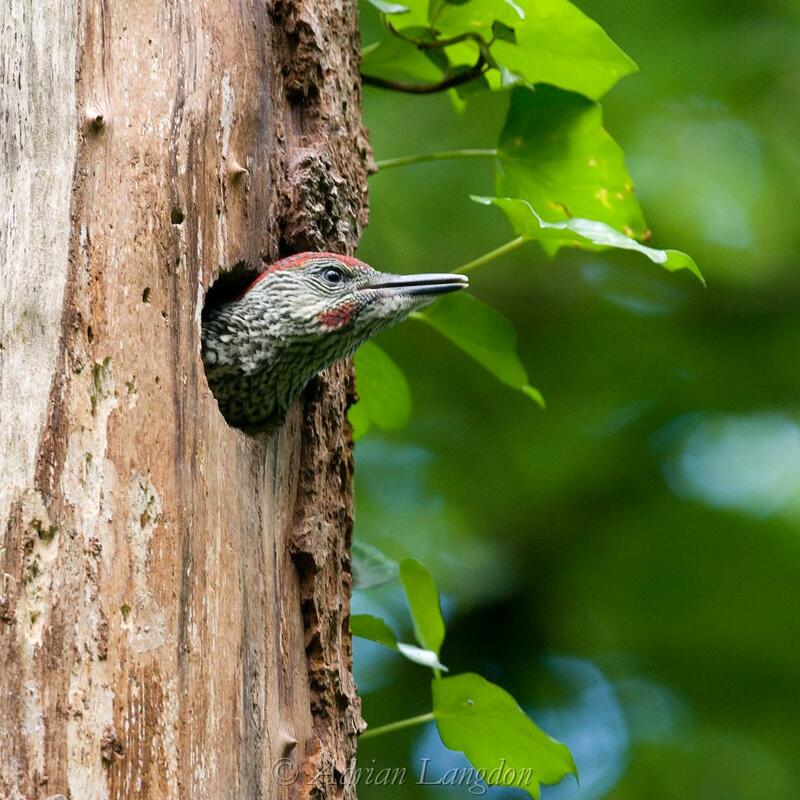 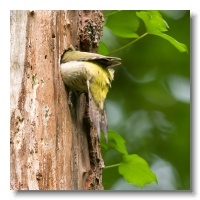 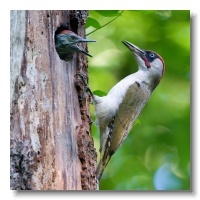 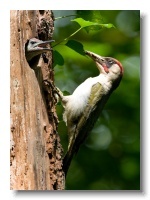 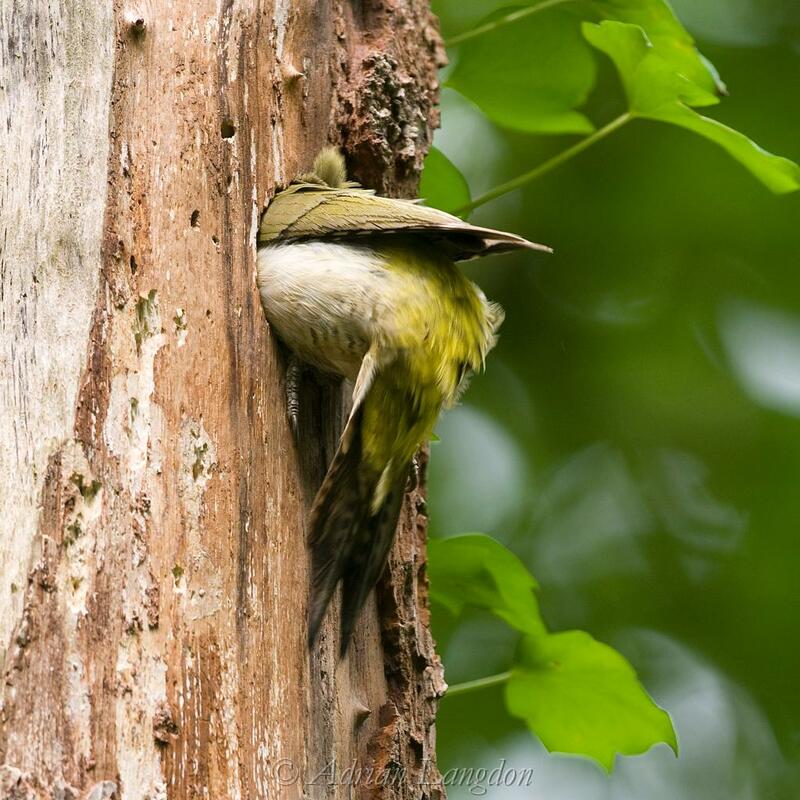 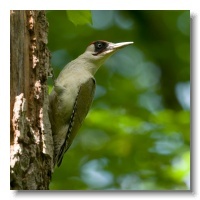 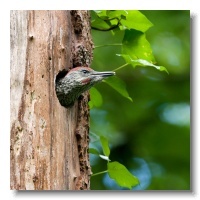 A young Green Woodpecker tumbles from the nest hole toward the male bird and food. 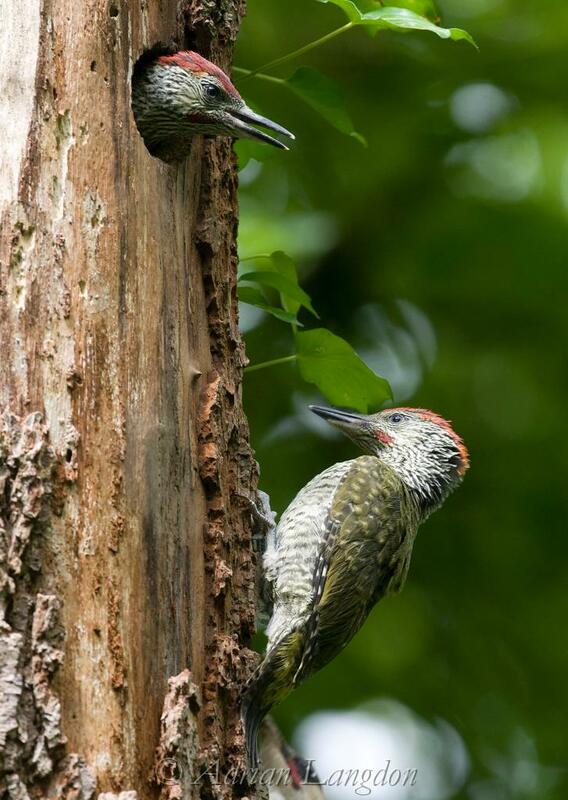 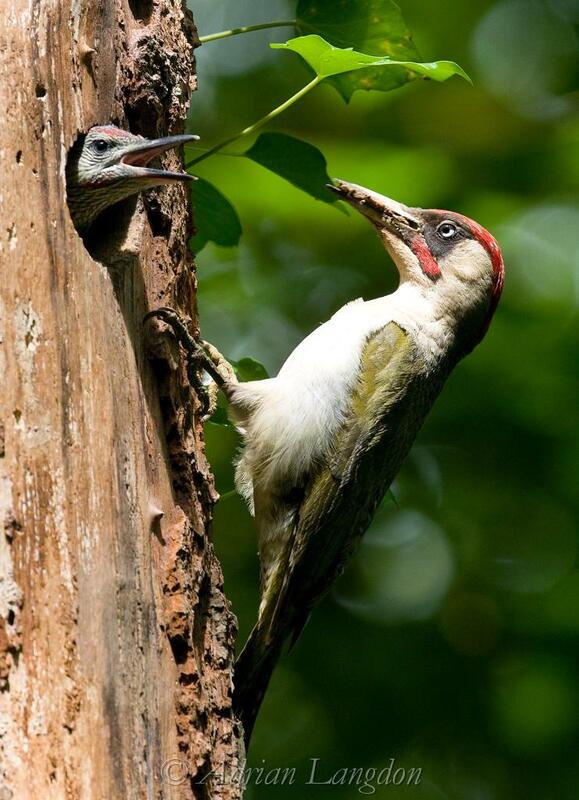 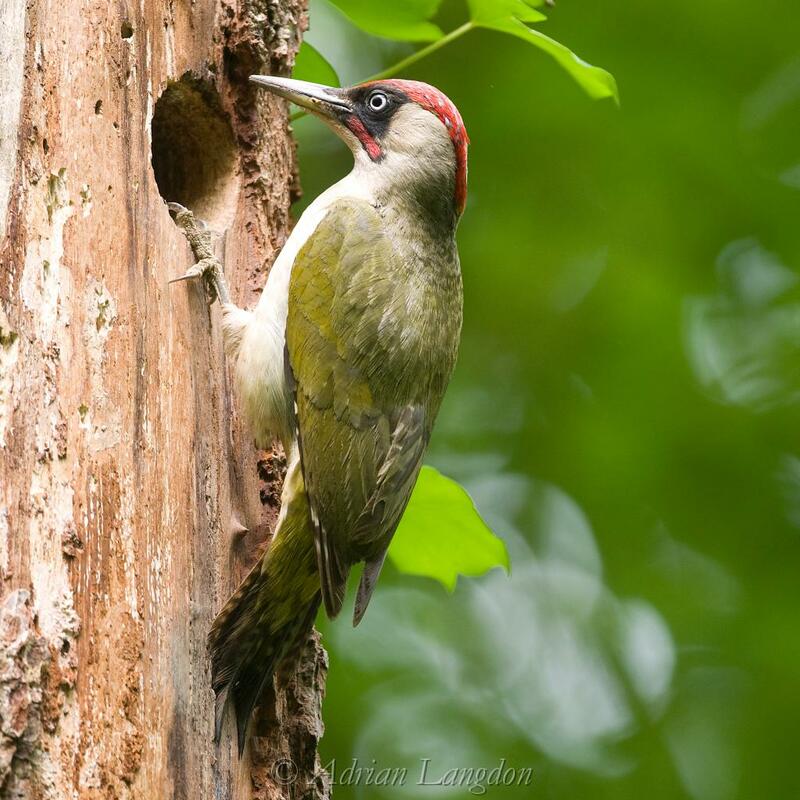 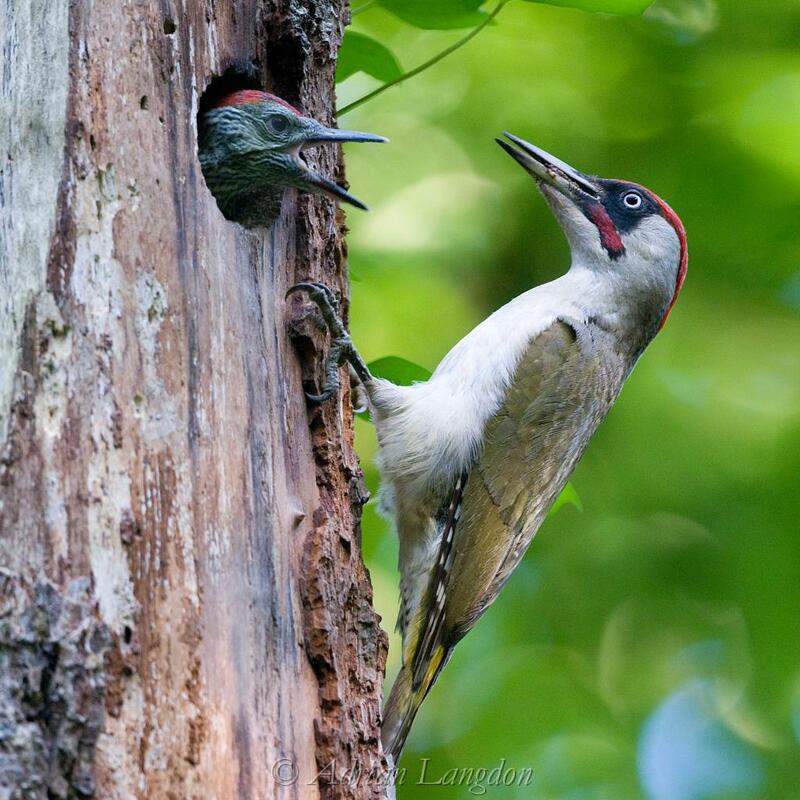 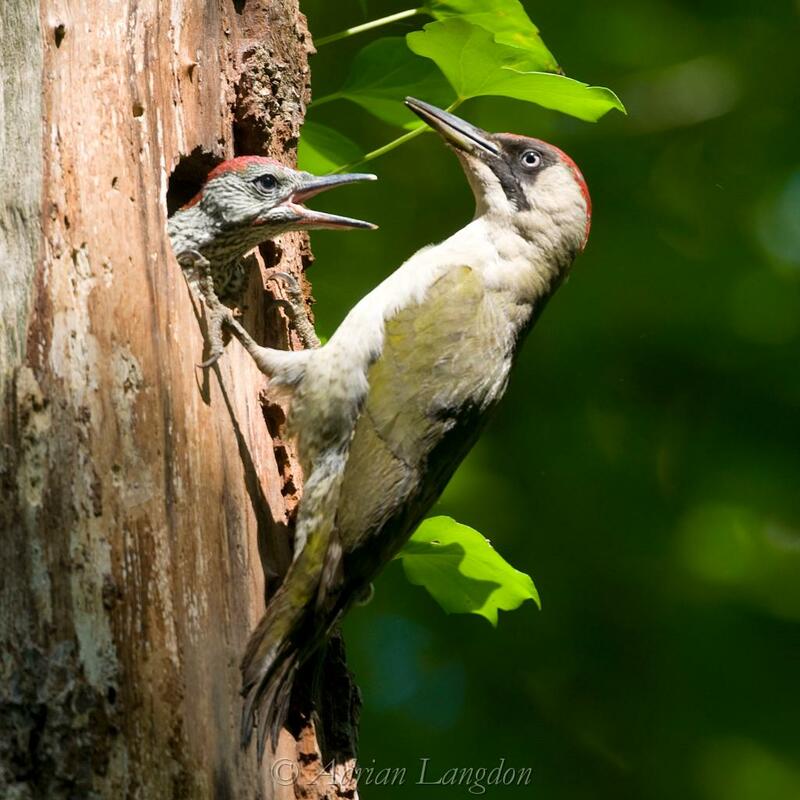 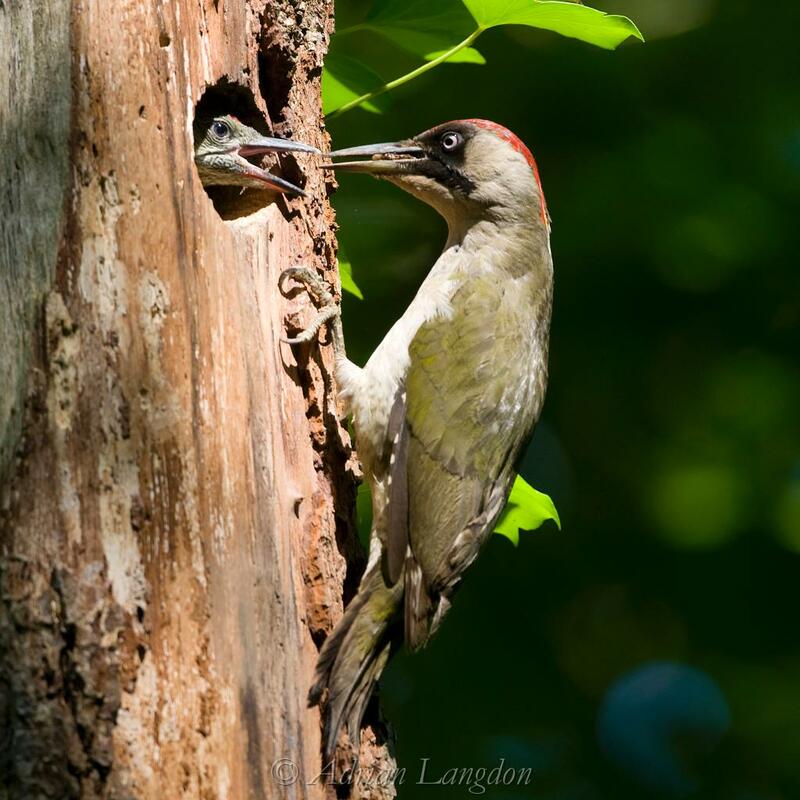 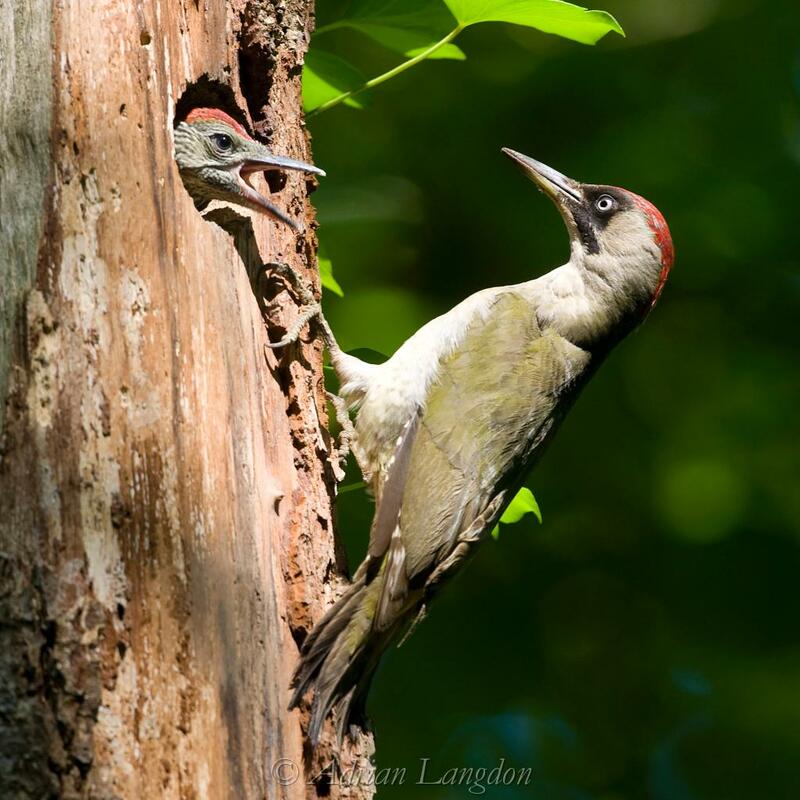 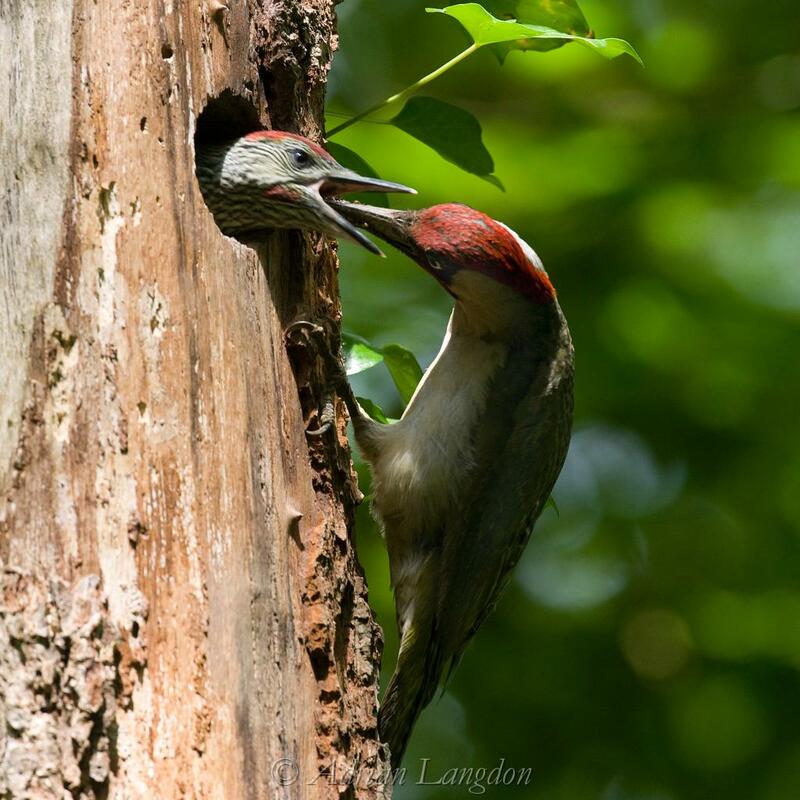 A young Green Woodpecker tries to grip the tree in the first few seconds of life outside the nest as its sibling calls and the male parent watches on.